We say it a lot, but it’s worth repeating. We are fortunate here in the Puget Sound to have so many waterfront communities available to us! Truly, there is nothing like this area. These waterfront areas will cost more, especially if you are right on the water, but there are still affordable options out there! Browns Point is one of these beautiful waterfront communities. This small area has so much going for it from great small businesses to affordable properties with waterfront access! We love this area for so many reasons, but here are a few reasons why we think Browns Point is an a great place to live! Browns Point and Dash Point are two distinct communities that sit on a peninsula that juts out into Puget Sound and is right on the King and Pierce County border. These two are very unique communities; 3 sides of this area is surrounded by water, which gives it an island feel with absolutely stunning views! On the North and West side you look over the sound to Vashon Island, and to the South you look over Commencement Bay to Downtown Tacoma. What could be better than this serene view! This is undoubtedly a beautiful area just because of its location, but what’s really special about Browns Point is the amazing parks. These are two beautiful options that locals can experience this area for all that it is! We love that this peninsula has so much dense nature even though while also being so close to the city! This 461 acre, beautiful park is full of trails that lead down to the waterfront which has to over 3300 feet of sandy beach shoreline. You can live in an affordable home and literally be at the beach every day if that’s what you desire. Lower Browns Point is a tucked away community of homes. The residents love this area because its a quiet little community with very little traffic since all you have water all around you. Though it’s a smaller, relaxed community, there’s a town center with shopping and some eateries. If you’re looking to get a little of the city feel, both Federal Way and Tacoma are just minutes away, for all of your big city shopping and conveniences! The town center really is a great spot to enjoy some local businesses! With a brewery, a market, and great restaurants, the Browns Point town center is a fun little spot for the community to enjoy! A fun family friendly diner with a small town atmosphere. A landmark restaurant overlooking Commencement Bay and Mt Rainier. There are number of marinas that offer moorage options, which makes owning a boat much more flexible. So regardless of whether you live on the water or not, you can still have beach access, boat moorage, and a waterfront vibe with plenty of lifestyle options! Of course, with all that water, there’s plenty of waterfront & water view properties. However, It’s still going to be a bit pricey—but way more affordable than what you’ll find in Seattle! And there’s also plenty of other homes that while they don’t have the view, you’re still located in this prime area that is just minutes to waterfront beaches and parks. As you can see, we LOVE this area! Contact our team today to learn more about Browns Point and the great opportunities in this community! If you read our Marymoor Park post, then you know we LOVE Redmond! This town is beautiful, has incredible restaurants and shops, and has a fantastic community. Our clients that live here love this fun and energetic area. We’ve created a list of 5 reasons that we love Redmond! Downtown Redmond is a great example of creating the perfect mix of residential and commercial while incorporating convenient recreation. The city of Redmond has clearly put a lot of love into development here! The buildings have an old-town feel with nostalgic brick design that makes you feel like you’re back in time. And we love Redmond Town Centre which has this fun urban-village vibe. Our clients that live in the downtown district say they also love that they can walk to EVERYTHING: from groceries, restaurants and bars, to doctors, dentists and the pharmacy. You can even walk to Marymoor Park! Plus with the transit center, you can easily get to Seattle or Bellevue. Here are a few of our favorite things to do when we spend the day in Redmond! Hoffman’s: A cafe with a large selection of breakfast pastries, cookies and small desserts. Hoffman’s serves savory sandwiches, homemade soups, salads and even quiche. The atmosphere has that friendly relaxed vibe that will set you off to a fun start. Super Jock N Jill: An awesome local business where not just shop for great gear, but also find out everything you want to know about upcoming events, new running or walking courses, or even the best personal trainer or physical therapist recommendations. iPic Movie Theater: Located in the Redmond Town Center, this theater is a great movie theater that serves beer and wine, and even has reclining seats where you can enjoy a delicious meal delivered right to your seat for Premium Level guests! Marymoor Park: The largest park in king county, with 640 acres. 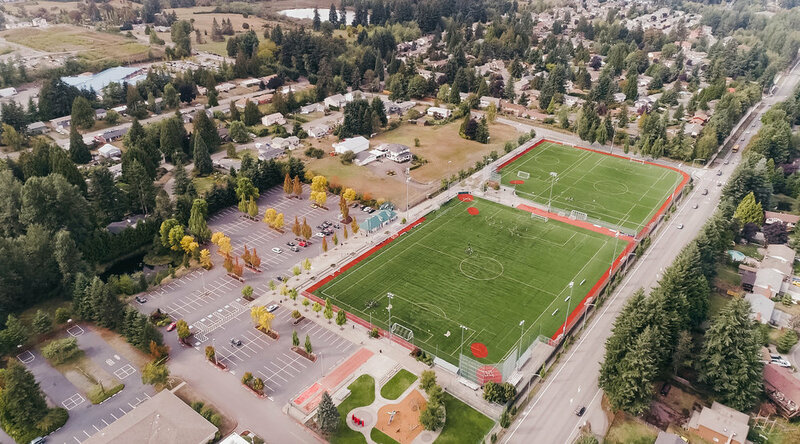 You can even bring your dog to the 40 acre off leash dog park or head down one of the trails that connects to Burke Gilman going into Seattle or the East Lake Sammamish Trail that leads into Issaquah. It’s the Bicycle Capital of the Northwest! Any bike lovers out there? Redmond is so fond of its bicycles! You’ll find plenty of bicycle paths and even competitive cycling events. Redmond has an extensive network of on-street bike lanes and off-street trails for easy access to downtown, neighborhoods, businesses, parks, and even to other cities. It is one of a small number of cities designated as a Bicycle Friendly Community by the League of American Bicyclists! The city of Redmond even started adding green bicycle lanes to help support bicycling as a travel choice. We love this because we feel the PNW is all about the outdoors and we love to see cities support an active lifestyle! Click the button below and learn more about the fun cyclist community in Redmond! If you’re looking for culture, you’ll find plenty of it here. There’s wine tasting, poetry readings, art galleries, music & theater. In fact, Redmond is home to the Redmond Performing Arts Center, the Eastside Symphony, and the SecondStory Repertory Theater, which features musicals and other productions year-round. We love that culture is such an important value to the city of Redmond! And the best part about a city that loves culture? There is never a shortage of great local events to attend! Looking for some fun ways to experience Redmond? Below we’ve listed some of our favorite upcoming Redmond events! For more events in and around Redmond, check out our Local Events page! Redmond is a fun and vibrant place to live or explore! Although the median age here is 34, 24% of residents are over age 50. We love that Niche.com rated Redmond as the #1 Best Suburb to live in Washington. So whether you’re 28 or 78 people of all ages love Redmond. The high walk score with easy access to everything you need makes this a desirable place to live no matter what your age is! Looking to move to Redmond and curious about the housing situation? Click the link below to check out one of our beautiful, recently sold Redmond properties! As NW natives, it seems like the Seattle area always got the cold shoulder when it came to recognition. That started to change when Microsoft moved in and showed everyone that Seattle is a smart, outdoorsy, tech-loving, laid back, and fun place to live. Growing up in the area, very little was known about the Eastside. But when Microsoft moved in, it put the Eastside on the map and catapulted job growth, income potential, and desirability of this area. As you can see, Redmond is a pretty happening place! Our clients love it, and we hope you do too. Thinking about moving to Redmond? Our team would love to connect with you and help you find your dream home! Kirkland, WA is one of those places that reminds you that we live in a remarkable area here in the PNW. This town is overflowing with amazing restaurants, beautiful waterfront homes, beaches, and friendly locals. With the busyness of Seattle and Bellevue, this relaxed neighborhood is the perfect place to go for an afternoon at the beach, or a fun evening out at one of the stunning waterfront restaurants. It’s no secret that Kirkland is a beautiful little gem in the greater Seattle area! Why is this place so popular? We’ve interviewed our clients that live here and here are their top 5 reasons why they feel Kirkland is one of the best places to live. We love that in Kirkland, you’re centrally located to everything. From corporate headquarters, to a thriving community, to some of the best restaurants in the Seattle, Kirkland is an amazing place to plant some roots. You’ve got the Google campus, shops & eateries, beautiful parks, waterfront, PLUS if you’re craving the big city vibe, you’re right next door to Bellevue. Kirkland is super walkable which attracts everyone from young families to retirees. Kirkland has a small town, trendy vibe. It’s laid back but there’s a lot going on. The downtown district runs right along the waterfront where you can find all sorts of little shops and eateries. Plus there’s seasonal events that take place year-round including Summerfest, Kirkland Uncorked, Octoberfest, and events like Crossing Kirkland that are designed to bring the 12 neighborhoods of Kirkland together for an annual city-wide block party. You’re never going to be short of fun activities that the whole family can enjoy! Here are some fun upcoming events where you can really get a taste of the amazing culture in Kirkland! Another amazing aspect of this town is the fantastic school district. Moving to a new town is a huge deal, and if you’ve got a family, you know that school districts are one of the most important things to look at in a neighborhood. We truly want you to feel great about your new home in every way, including schools! Kirkland is part of the Lake Washington School District. Our clients that have children enrolled here tell us they give the schools a big thumbs up! One of the best parts about Kirkland is the incredible beaches! Kirkland sits on prime Lake Washington waterfront which means there’s plenty of real estate that offers either lake front or lake views. And we love the beachfront parks including Marina Park located right in the heart of downtown Kirkland, Waverly Beach Park, Houghton Beach Park, and Juanita Beach Park (that’s a lot of Beach Parks). So even if you don’t live on the water, you are literally minutes to the waterfront where you can enjoy it from any of these incredible beach parks! You’ll find residents are interested in the welfare of the community and active in supporting the local business, schools, and the quality of living in Kirkland. Our clients tell us that the Fire & Police Services are amazing, and we love that the city even tries to get feedback from the residents to see how they are doing and where they can improve! Of course, small businesses are the heart of a community, and you’ll find a ton of them here. If you walk through the downtown district, you’ll actually find most of the businesses are small family owned operations. One of our favorite small business is Lizzy Kate Teas! We love this friendly little tea shop where you can come enjoy a tea latte, kombucha on tap, or sit down to learn all about tea at one of their many tea events. Personally, don’t tell anyone, I don’t drink coffee, so I totally dig this place. But even if you do drink coffee, you’ll be open to a whole new world of delicious tea. Another small business we adore is Lady Yum, where you’re enchanted with tasty macarons, champagne, wines and local artisan products. Businesses like this are rooted in the community. When you walk in they’ll often know you by first name and it feels like you’re a part of the family. 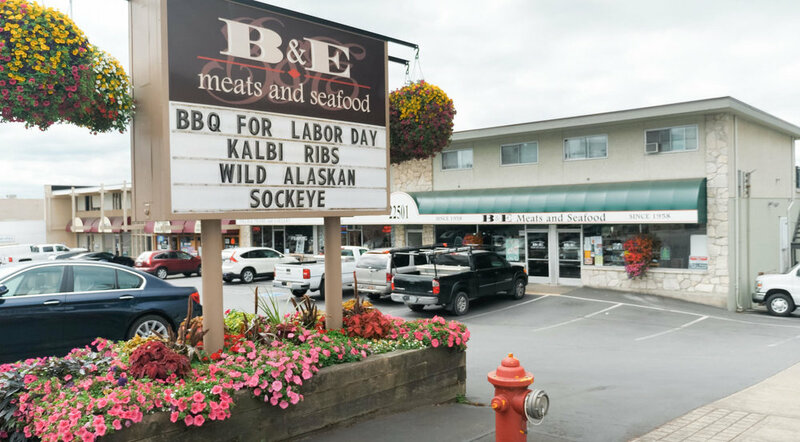 Here are a few more of our favorite Kirkland small businesses! Seattle based cafe with delicious coffee, treats, and a beautiful corner location in the heart of Kirkland. Fun and trendy women’s clothing store that donates a portion of each sale to do good in the world. A popular and casual pub where you can enjoy a beer, a mini golf course, and more! We are so glad that our clients love Kirkland as much as we do! This beautiful town has so much to offer. Our team would love to help you learn more about Kirkland and how this town might be the right place for you to call home! Contact us today to learn more. Seattle is often stereotyped as bunch of tech hippies, sipping coffee in the rain, right? Actually, we’ll own that reputation - we’re pretty fine with it! But you probably didn’t know that Seattle loves their wine and beer just as much as they love coffee — it’s true! There’s a whole other elegant side to Seattle you may not know about. One of our absolute favorite areas in the Greater Seattle area is Woodinville. This picturesque town, just 20 miles northeast of Seattle, is well known as the wine lovers heaven. Woodinville, Washington is home to 118 wineries, 14 microbreweries, and 30 restaurants & eateries. If that doesn’t sound like an incredible city to visit, or even live in, we don’t know what does! The best part about enjoying a day in Woodinville wineries is that you’ll be enjoying local Washington wine. Washington actually has an amazing wine region, and is where many of the wineries from Eastern Washington have come and setup shop to show all us Seattleites what they have to offer. Washington State is divided by the Cascade Mountain Range. To the West is Seattle and to the East is Eastern Washington. Eastern Washington has a warm, arid climate with sandy, gravelly soils - really the ideal environment for grapes. And let me tell you, Washington has some absolutely amazing wines. So you may be wondering how over 100 tasting rooms fit themselves into lil’ ole’ Woodinville? The area is actually split into split into 4 districts, or areas. Warehouse district is home to at least 1/3 of the tasting rooms including Mark Ryan’s Board Track Racer line of wines. There’s the downtown district, the West Valley district, and the Hollywood District. The Hollywood District got its name from the old Hollywood Farm and the Hollywood Schoolhouse still located in the heart of this area. The Hollywood District grew up around Washington’s first winery, Chateau Ste Michelle, and now features more than 40 wineries. There’s also a number of breweries, restaurants and a luxury hotel – Willows Lodge – that call the Hollywood District home. Another part of Woodinville that we absolutely adore are the neighborhoods. This city is the home to a multitude of quiet, spacious, community-driven neighborhoods, such as Aspenwood, and the Farm. Many of these neighborhoods include large lots with equestrian opportunities such as pastures, barns, and even riding arenas. These little communities really amazing. You can tell that the homeowners take pride in caring for their homes as you drive through and observe the manicured lots and friendly neighbors out for a stroll. Aside from the beautiful homes and estates, the schools in Woodinville are actually in one of the most highly rated district in the greater Seattle area. This city really is an incredible place to settle down with a family, retire and enjoy the wineries, or just spend the day exploring! Since there are SO many wineries in Woodinville, it can be hard to know what the best way to do an evening of tasting! 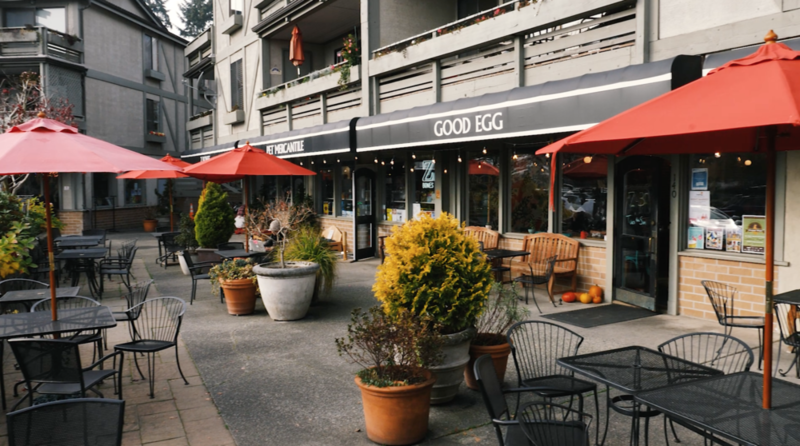 Here are a few of our favorite tips to make your time in Woodinville easy and fun! Spread your day out to enjoy the tastings. You get about 5 samples in one tasting, so usually I can do about 3 tastings if I spread them out a bit. If you came here every weekend and visited 3 tasting rooms, it would take you 40 weekends to try all the wineries! Focus on one district at a time. By focusing on one district at a time, you will have the advantage of parking your car once and walking to a variety of tasting rooms! This will make your day simple and you’ll have more time to enjoy the wineries rather than look for parking and figuring out where to go next! So obviously we love Woodinville, but the best way to experience all that this beautiful city has to offer is by attending the amazing local events. What we love so much about the local event network here is that because of the massive amount of wineries and restaurants, Woodinville has live music nights, kid friendly events, or date nights. There truly is an event for everyone! Below are a few of our favorites coming up! 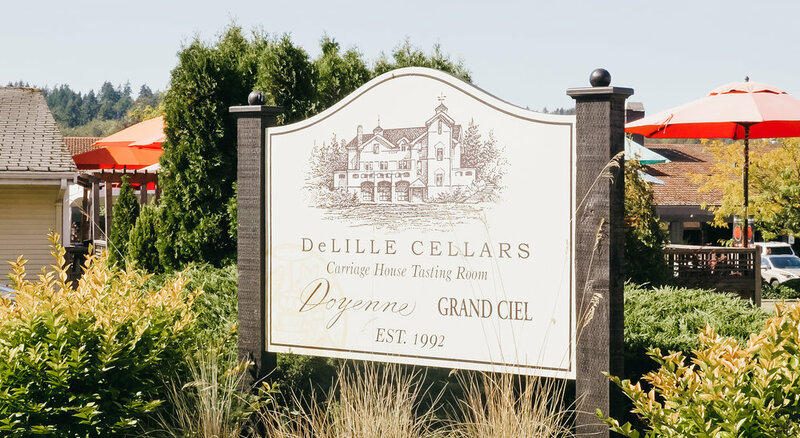 We hope you have the chance to enjoy these amazing wineries and neighborhoods in Woodinville! 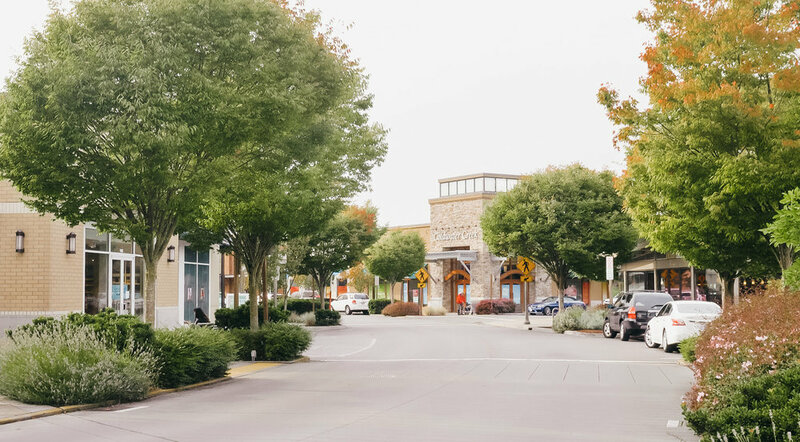 Contact us today to find out more about how we can help you find your dream home in Woodinville, or just learn more about what this amazing city has to offer! You all know how much we love the Southend of the greater Seattle area! This week we’re talking all about how much we love Kent! Much like Des Moines, Kent is in an amazing location situated right between Tacoma and Seattle. This makes Kent a convenient place to live regardless of which city you are commuting to. Kent is the 6th largest city in the state, so there’s a lot of fun things to do here. In fact, there are over 70 parks and recreation facilities. Kent is one of our absolute favorite places in the greater Seattle area, and whether you live in Kent or you’re just visiting, we think it’s definitely worth exploring! We’re excited to be giving you 7 of our favorite things to do in Kent so that you can make the most of your time in this fun city! We hope you love you Kent just as much as we do! Soos Creek Trail is a beautiful 6 mile trail that meanders through woods and meadows. This paved trail starts in Renton and continues south near Lake Meridian in Kent. You’ll cross over creekside and wetland areas and wander through forests and open meadows that have scenic and wildlife views. This trail is such a fun way to get outside and enjoy some nature whether you love to walk, hike, or bike! Speaking of Nature, Lake Meridian is another fantastic place for the whole family to enjoy the outdoors! Lake Meridian is packed full fun activities like open fields, picnic shelters, beautiful docks to watch the sunset, lots of room for the kids, and a public swimming area. Looking for a fun fishing spot!? This lake, stocked with Rainbow Trout, Kokanee, Largemouth Bass, Yellow Perchis, every fisherman’s dream! Our favorite part about Lake Meridian is definitely Thursday nights in the summer where you can enjoy the live music during the Kent Summer Concert series! Another fun experience is the Ice Center, where you can take the whole family ice skating, year round on a NHL regulation ice rink. This is a unique experience that Kent is lucky to have! Don’t know how to skate? You can take group lessons to feel comfortable and learn some fun tricks! And if skating isn’t your thing, they have an a 18-hole mini golf course and five batting cages for baseball practice! 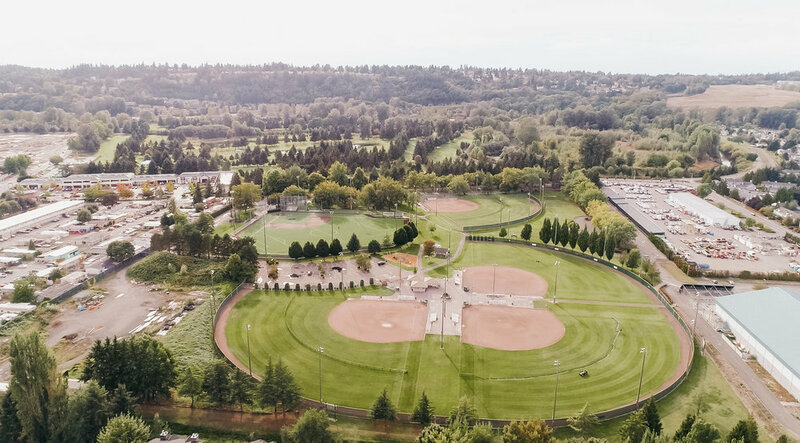 Speaking of Baseball, Kent is the home to the Hogan Park and Wilson Playfields. Hogan park is a great place for the family to enjoy not only the beautiful baseball and softball fields, but also tennis courts and a children’s playground! 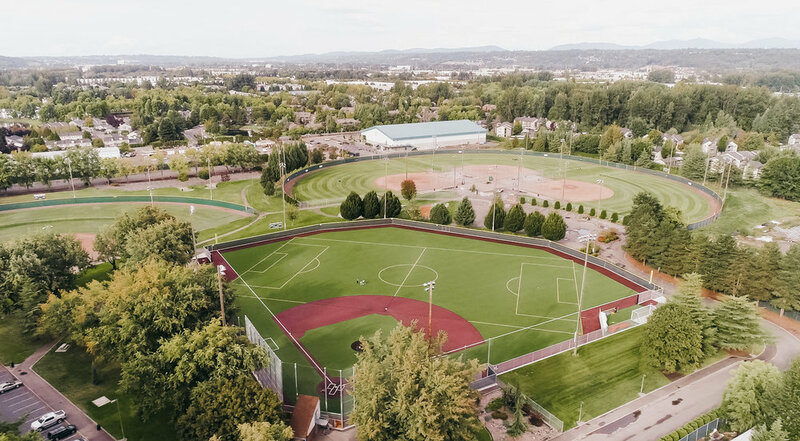 And with the Wilson Playfields’ sizable, turf-covered baseball & soccer fields, and plus picnic areas, you are sure to make memories with your families in Kent! One of our favorite parts of Kent is Kent Station, and open air, urban village. This is where the community gathers to shop, dine, and relax. You’ll find a diverse array of retail and entertainment, including an AMC Cinema, plus an exciting mix of dining options appealing to a wide variety of tastes. Though we love the nature of Kent, WA, Kent Station is such a fun place to enjoy all of the fun that the city has to offer! You can’t enjoy the city life of Kent without spending some time in Downton Kent’s Historical District! You’ll find small, quaint businesses that take really take pride in knowing their customers and offer that small-town service in a big city. 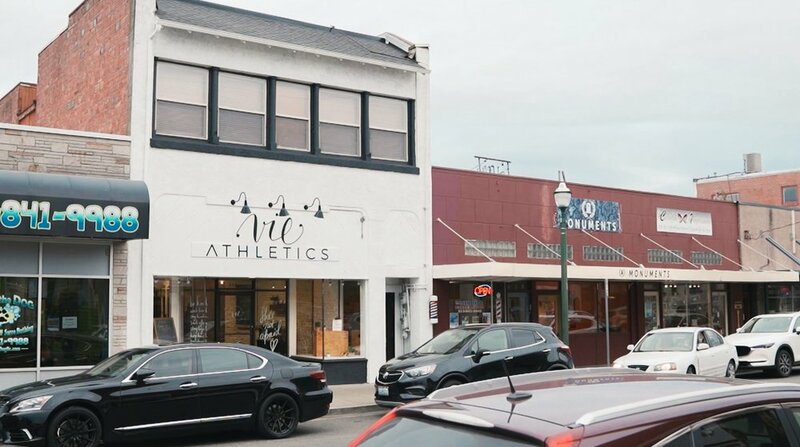 It can be easy to miss this fun area of Kent if you’re just driving through, so definitely take some time to explore this amazing downtown district! 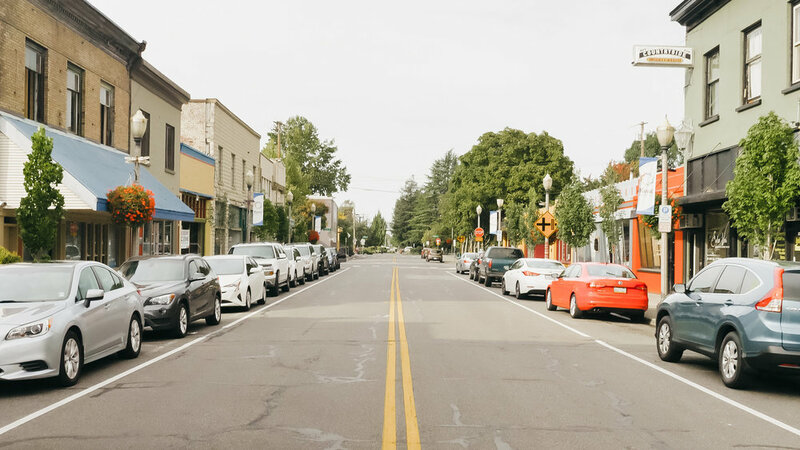 We recommend that you explore this downtown district because it’s full of little shops that could easily be missed if you just drive through. Another place that we are so grateful for here in Kent is Reber Ranch. 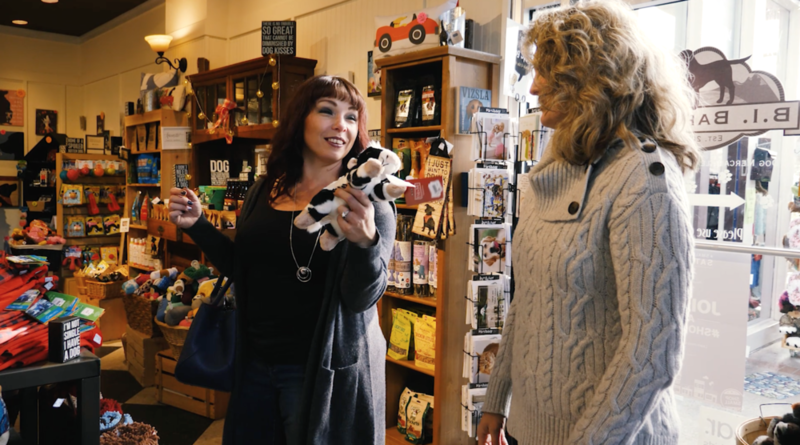 Reber Ranch is a small family owned feed store that offers 14,000-sq ft of retail space full of pet supplies and much more. In addition, they offer a grooming salon, do-it-yourself dog wash, veterinary hospital, and outdoor dog park. They’ve been in business for over 30 years and we love having them in Kent! We love local events, and the amazing opportunities that Kent offers for locals and visitors to experience this great city! These autumn events are fantastic to enjoy this cozy season with family or fiends! If you you’re looking to enjoy this city and learn more about it, these local events are the perfect opportunity. An authentic Oktoberfest celebration with German Bier, brats, entertainment, games & more...funding Kent Sunrise Rotary Clubs efforts to give back to community needs. Join in the fun with Manuela Horn and her German band. Show your Seahawks pride at this Hawks themed car-show. How much blue and green can one car handle? Find out! The event is located at the corner of Railroad Avenue and Meeker Street. Admission is free to the public. Register your vehicle ahead of time for $20. Head over to our Local Events page to check out weekly updates of events all around the greater Seattle area! The best part about the real estate in Kent is that there is an incredible amount of variety. Check out this incredible property in Kentlake Highlands. We love this property, and we love helping our clients find their dream homes! Contact us today to find our more about Kent and how we can find the perfect home for you! There are SO many reasons to love the Pacific Northwest, but one of our favorite things is the beautiful city of Des Moines, Washington! 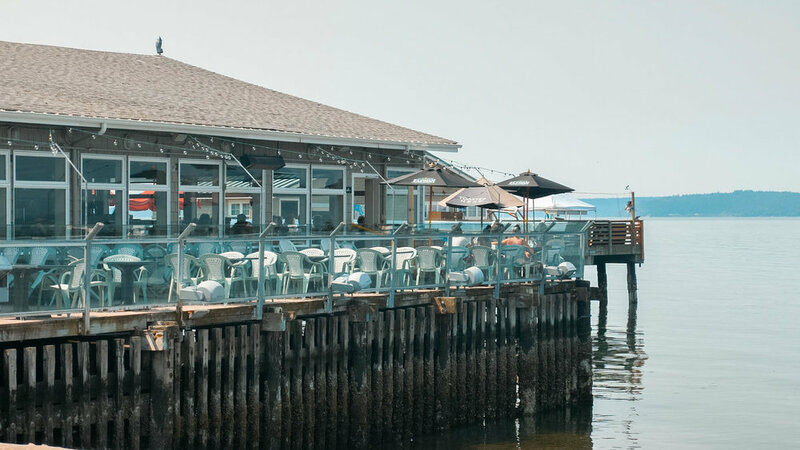 Located right on the Puget Sound, Des Moines features numerous waterfront and water view properties, a variety of beachfront parks, a downtown marina with a fishing pier, and of course, fantastic restaurants with a view of the water. This town, with a perfect population of 30,000, is a fantastic location to settle down and experience the beauty the Northwest has to offer! We LOVE Des Moines and we are so excited to share four of our favorite things about this amazing city--and maybe even convince you to move there! You know the saying, “Location, location, location!” Well, here in Des Moines, it doesn’t get much better than the beautiful waterfront views, nooks of nature, and amazing restaurants and activities! In Des Moines, you’re perfectly halfway between Seattle and Tacoma--a 25 minute drive to either city--while still having the luxury of quiet nature! Now if that’s not an ideal location, we don’t know what is! Saltwater State Park is a 137-acre park featuring almost 1500 feet of Puget Sound’s saltwater shoreline. You can explore Saltwater’s tide pools or watch salmon spawning in McSorley Creek. If you prefer to view sealife from under the water, Saltwater is the only state park with an underwater artificial reef for diving. The park offers three trails for hiking and biking or cook up a picnic on one of the park’s barbecue grills. Located on the south end of Des Moines, Redondo Beach is one of our favorite parts about Des Moines! There are three main attractions here. The first is Salty’s, one of the Seattle areas renowned seafood restaurants where you can enjoy patio dining right on the waterfront. The second is The MaSt aquarium next door. It serves as both a formal teaching institute and public learning center. The aquarium hold 3,000 gallons of flow-through seawater tanks and 250 native Puget Sound marine species. The third attraction, just outside the restaurant and aquarium, is a mile-long boardwalk, right on the beach. You can come here any time of day and see folks talking a leisurely walk while soaking in the marine air. You definitely won’t want to miss out on Redondo Beach if you’re planning an afternoon in Des Moines, and if you’re planning on moving here, this beach is a fantastic amenity of this beautiful city. Des Moines wouldn’t be quite so fun without its downtown district. There are numerous small businesses and eateries that line Marine View Drive. Some of our favorites include B&E Meats, a family owned butcher shop established in 1958 is one of Des Moines’ oldest and best known businesses, the Dog House, home to the infamous Des Moines chili dog, and our personal favorite, Auntie Irene’s, a coffee shop with a model that they hope is like your second living room. It is styled with cozy seating and a friendly atmosphere for all ages. If you want a truly delicious sandwich, this is one of our top choices, but for a real treat check out the scoop ice cream. You can even order it at the drive through window! So did we win you over?? We sure hope you enjoyed reading about our favorite things in Des Moines! Luckily, at Maple + Main, we are here to help you find the perfect house for you! Contact us today to find out more about how we can help you find the home of your dreams in the greater Seattle area!